Everything we learn, every way we influence others and every relationship we form hangs around a complex interplay of behaviours, feelings and thoughts. 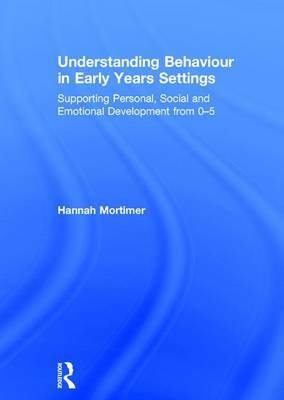 This practical book explores the factors that influence children's behaviour in the early years, enabling practitioners, parents and carers to develop a better understanding and become more intuitive and confident in supporting their development and learning in the first five years. supporting disability and special educational needs. Including case studies and thinking points in each chapter, this invaluable guide will help early years practitioners, teachers and students to develop their own knowledge, confidence and understanding when working with challenging behaviours.